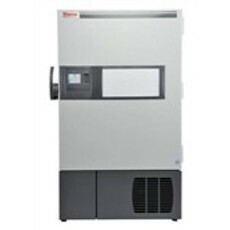 Thermo Scientific* Revco UxF freezers deliver ultimate protection and optimum capacity for your most critical samples. Built specifically to protect the most critical samples, these new freezers achieve exceptional thermal performance, safety and security through state-of-the-art engineering. Store and protect the optimum capacity of the most critical samples with Thermo Scientific™ Revco™ −86°C Upright Ultra-Low Temperature Freezers. These freezers achieve outstanding thermal performance, safety and security through state-of-the-art engineering. These refrigerators are designed to maximize temperature uniformity and sample storage while minimizing energy use. Choose from five high density capacities. Find online auctions and classified ads for Thermo Revco freezers on LabX. Classified ads for Revco -86°C ULT Freezers on sale at LabX.